Cleveland is a national leader in developing a climate change action plan. Cities have taken the lead in pursuing the goals of the Paris Agreement after the U.S. pulled out of the compact. Beth Herndon teaches geology at Kent State University. Her research looks at how minerals in permafrost affect the rate of carbon release. Cameron Lee studies weather patterns at Kent State University's geography department. He's developed a system to classify daily weather readings into 11 weather types that can be tracked over time. Cleveland's climate plan includes a long-term reinvestment in urban forests. Our climate is rapidly changing. Recent studies show earth could be entering a period of warming not seen since the end of the age of dinosaurs. That is, if current trends continue. In this week’s Exploradio, we look at local climate research and local plans to help prevent the effects of a warming planet. Beth Herndon teaches geology at Kent State University. 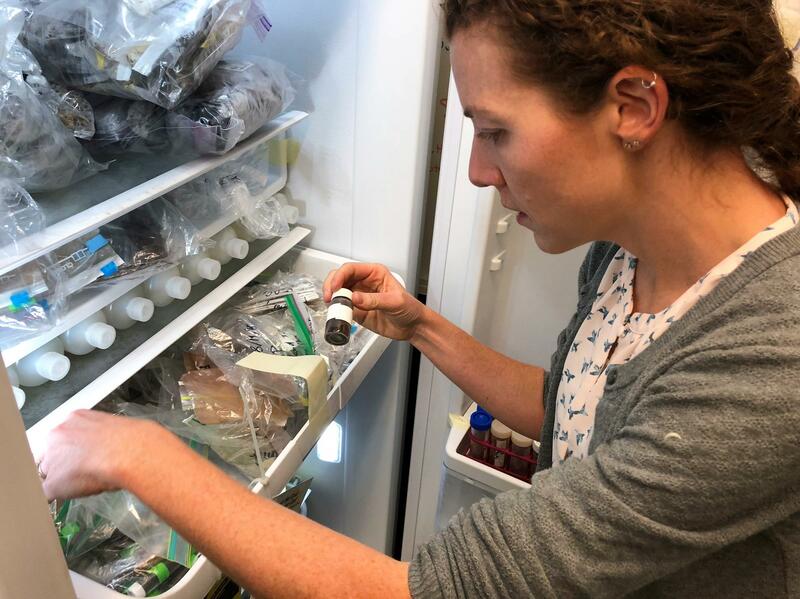 She’s rummaging through a large freezer in her office filled with bags of soil from the Arctic. Geochemist Beth Herndon sorts samples of soil collected in Alaska. Herndon is studying how minerals in the permafrost affect the rate carbon dioxide and other greenhouse gases are released. Herndon says the Arctic is warming twice as fast as the rest of the planet and the permafrost is thawing out. “So a lot of that carbon that’s been stored in the soil for thousands of years is being converted to greenhouse gases,” says Herndon. In fact, the carbon dioxide and methane expected to leak into the atmosphere from thawing permafrost over the next 50 years is measured in gigatons - that’s billions of tons, and Herndon says understanding the interaction of minerals in permafrost could help us predict the rate of climate change. “This is one piece of the puzzle,” she says. Another piece is found one floor above her in the geography department at Kent State. Cameron Lee studies changing weather patterns across the globe. He's developed a model that maps the changes of weather types that illustrate warming trends. Lee has developed a system that helps translate the large scale effects of climate change into something we can feel. He boils these down into nine daily weather types, plus two transitional phases. Lee has mapped out daily weather conditions for all of North America collected over the past four decades. His data shows dramatic changes in Northern Canada, where above-average temperatures now extend over nearly one third of the year. “That’s quite alarming,” says Lee. Lee likens our warming climate to a baseball slugger on steroids, “the number of homeruns he hits is going to get that much better, the distance he hits the ball is going to be that much further," and likewise, once rare weather extremes are becoming the new normal. Lee’s map shows the region that includes Ohio is experiencing three more weeks of warm, humid weather and two fewer weeks of cold, dry days per year compared to forty years ago. We are seeing more and heavier rainfall, and “on average we’re seeing 20 less days per year of the lake freezing,” according to Matt Gray, chief of Cleveland’s office of sustainability. "By doing these actions we create a much more resilient economy in Cleveland and everywhere else." Gray recently unveiled the city’s updated plan to prepare for, and perhaps prevent the worst effects of climate change. “Our goal is to reduce our emissions 80 percent by 2050, and it’s also about building more resilience to the impacts of climate change we’re already seeing,” says Gray. Cleveland’s plan has 28 objectives across six focus areas. The plan promotes energy efficient buildings, clean energy sources, sustainable transportation, and even locally grown food. “Growing lettuce in the Kinsman neighborhood is a lot less energy intensive than trucking it in from California,” says Gray. He says Cleveland offers tax abatements on energy efficient home renovations, and Gray is also pushing local businesses to conserve energy and take actions to reduce carbon emissions. He says sustainability touches all of the city’s revitalization efforts. The U.S. is the only country to back out of the Paris climate agreement to reduce greenhouse gas emissions. A recent Yale University poll found that 70 percent of Americans believe global warming is happening. But fewer than half believe scientists are convinced climate change is real, and that doubt of science-based fact could be the biggest threat of all. What's the Future of the Aerospace Industry in the Birthplace of Aviation? Ohio is the birthplace of air and space pioneers like the Wright brothers, Neil Armstrong and John Glenn. But has the aerospace industry really taken off in the birthplace of aviation? In this week’s Exploradio, WKSU’s Jeff St.Clair meets the new head of the Ohio Aerospace Institute who’s helping map out the state’s aviation future. 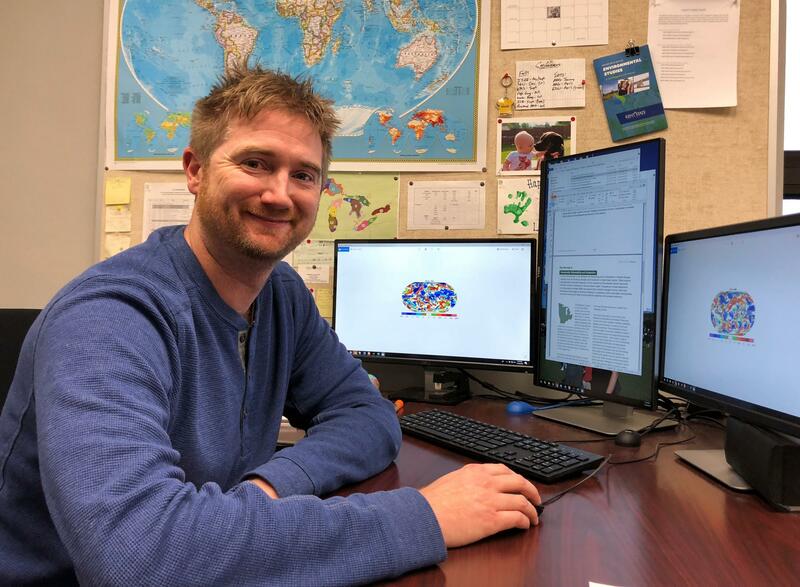 More Extremes In A Changing Climate: An Interview With Cameron Lee, Ph.D.
Cameron Lee, Ph.D. is an assistant professor from the Kent State Geography Department and an applied climatologist. Lee is a self-described “weather nerd” and his work models how the weather in our area is affected by climate events around the globe. His work also studies how climate change affects people in terms of public health. A report released this month by the National Oceanic and Atmospheric Administration calls 2016 the warmest year on record around the globe. A new report from the National Oceanic and Atmospheric Administration calls 2016 the warmest year on record around the globe. The surface temperature of the Great Lakes was also above average.